Superb value for money.Polly was exceptional in explaining everything throughout. So very well done Polly. Wonderful tour . Gregor led a wonderful tour of central Berlin. He covered a huge amount of information in a very accessible way and we loved the blend of history, culture and art. The guide (Izy) was the best, passionate with a deeper understanding of the history and not only. We can go with her as a guide anywhere. Fantastic tour which was given by our tour guide Ryan. Ryan was very informative and he had a great passion and excellent knowledge of the city that he had called home for the last 11 year. 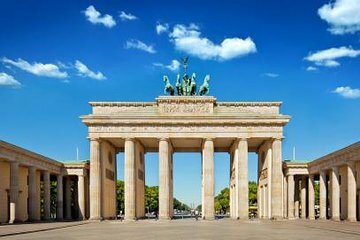 We came away after four hours with lots of knowledge and information that we had not known before about Berlin - would definitely recommend this tour as your "taster" walking tour. 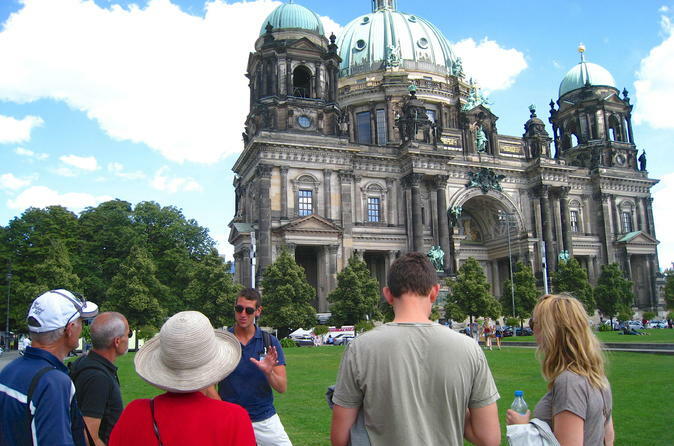 We also did the Third Reich tour and the East Berlin Tour. Gave a thorough summary of the history with a good blend of humour and thought provoking commentary. We enjoyed it through out. Beth was our Guide, and she certainly seemed very knowledgeable about the History of the City, as well as it's part in the Nazi History, which I suppose most people were wanting to know. Covered all the Major spots, Due to a Foot problem I found it difficult to keep up - they seem to march along at a fair old lick, but seeing as it was my problem cannot complain much. All considered a Good tour and worth the money. Sorry can’t remember the name of our tour guide but there are many of them and when you book, you don’t know who you are going to get. The guy we had was delightful, a historian who explained the background to events, places and brought Berlin’s history to life for us. He was both interesting and informative and cynical and whimsical – we liked him a lot. The tour did what we wanted; it provided sufficient knowledge and information for us to decide which places we wanted to go back to and visit in greater detail. It also orientated us around the main site locations and gave us confidence in where we were going for the next two days. I’d happily recommend this tour.